Posted October 31st, 2013 by & filed under Dental. Posted October 25th, 2013 by admin & filed under Dental Services. Besides appearance, good dental health holds many benefits for you. Many individuals are more focused on the way they look than the actual impact on their health. Here are some dental health tips from Apache Junction General Dentistry that will improve your smile and keep you healthy. Posted October 23rd, 2013 by & filed under Dentistry. Teeth can become discolored for many different reasons ranging from the food we eat and drink to smoking and even some antibiotics can darken the teeth. A Teeth Whitening Dentist in Magnolia can help remove those set in stains through laser whitening. Posted October 16th, 2013 by admin & filed under Dental. Crowns cover and strengthen teeth to restore a normal size and appearance, and they’re typically used in cases where fillings are inadequate. 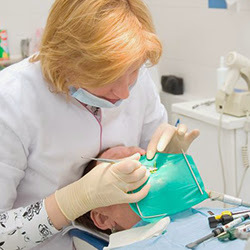 If a patient has a cracked tooth, a crown can hold it together to reduce the risk of further damage. Posted October 15th, 2013 by & filed under Dental Care. Posted October 11th, 2013 by & filed under Dental. Posted October 9th, 2013 by & filed under Dental Care. Posted October 9th, 2013 by admin & filed under Dental. Posted October 5th, 2013 by & filed under Dental Services.